Aimee Semple McPherson's 1927 "speech in a speakeasy" showed off this early televangelist's persuasive skills so well that the applause went on longer than the speech did. Coretta Scott King's "10 Commandments on Vietnam" used the 10 commandments of Christianity as its structure. This speech also had her do what many minister's wives would have done, delivering the speech he was meant to give after he'd been killed. But hers was on behalf of the Rev. Martin Luther King, Jr., with much of the speech drawn from notes that were in his pockets at the time of his assassination. Madalyn Murray O'Hair, the noted atheist, took the opposing view in her appearance on The Phil Donahue Show, debating a Christian preacher. Her skill in handling sometimes fierce questioning really steals the show, and is a tactic we can all learn from. 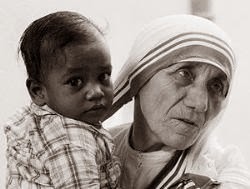 Mother Teresa used her appearance at the 1994 U.S. National Prayer Breakfast to tackle topics like abortion--which she called "murder by the mother herself"--and how the wealthy treat the poor, right in front of pro-choice President Clinton and a host of American lawmakers. Sister Simone Campbell started the "nuns on a bus tour" during the 2012 U.S. presidential election campaign to speak in churches around the country about the impact of proposed budget cuts on the poor and the social services that support them. She took issue with a vice presidential candidate's invoking of his religion as a justification for the cuts. "What Paul Ryan wants us to think, and what he says is, it's his Catholic social teaching that made him do that. His Catholic social teaching? If he had never uttered those words, I don't think we'd have a bus trip. He made me mad, and I'm a stubborn woman." Methodist minister Teresa McBain used a speech to reveal that she is an atheist, prompting the video of her remarks to go viral, and a flood of positive and negative comments along with it. Myrlie Evers-Williams's invocation at President Obama's second inaugural was notable for many things, including the history of the day and her history. In addition to asking for heavenly guidance in weightier matters, she also prayed, "please God, help me stay within the three minutes that I have been given." This was not, however, a prayer that was answered.